Home » Relationship » How to say I love you for the first time to your girlfriend? Whether you are in your 50’s or just stepped into a relationship, you along with all other people wonders how to say I love you for the first time without making a fool out of themselves. Saying I Love You for the first time can be a daunting task to perform and one can easily get nervous and excited at the same time. 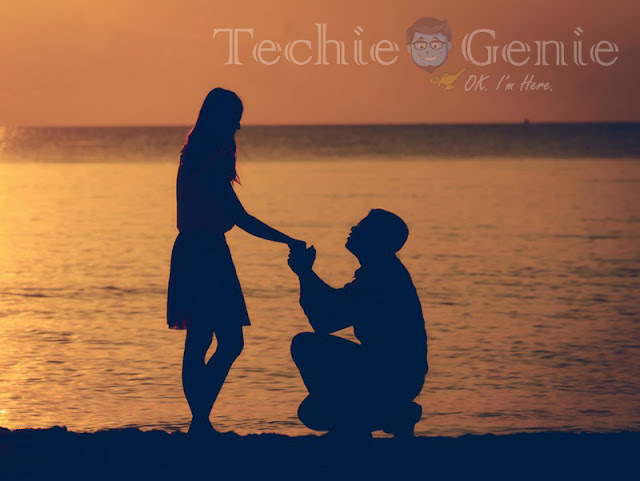 However, if you are stuck, then here are few tips to help you in saying those magical words to your girlfriend. Although, everything depends on you and these tips are there to make you confident and to ease everything out. Right Time: One of the most important factor to keep in mind is the time. Make sure it is the right time for your relationship to take a move forward. Time factor matters a lot. Too early or too late can spoil your efforts. So try to understand the situation as well as your partner before you say I love you to her. Don’t Say it if You Don’t Mean it: As I have told you earlier, you should know your partner well before making a move. Ask yourself whether you love her truly or not, and if you see a proper Yes answer, then only make a move. If you are confused with the answer, then you shouldn’t call for it. Take time and talk to her, spend more time with her and then if you feel, you can make that move. Say it with a compliment: Now that you have understood, it is time to take the move. It needs no effort to say her a love you if you really do! In that case, keep it simple and give her a compliment and tell her you love her. Take a trip: If you really think that you are into her and want to take your relationship forward, then you must take her to a special place. A place that means a lot to both of you- maybe somewhere you met for the first time, your first kiss or just to a place both of you have really wanted to visit. It is a great way to propose and think about how far you guys have come as a couple! To make it big, sometimes you can spoil it even. To make sure everything falls in the right place, you should keep things simple. Take her to a nice restaurant, or plan a picnic and you can propose her there with a beautiful ring and a nice flower bouquet. It will surely make her feel special and loving. Saying I love you should make a special moment and hence you shouldn’t hurry. Take your time and follow the tips above, you will surely get that special person in your life.